MSU C hatches are designed to be cast into place in interior areas or exterior areas where water or liquid infiltration is not important. These hatches are an economical, non-watertight choice for areas of pedestrian traffic. 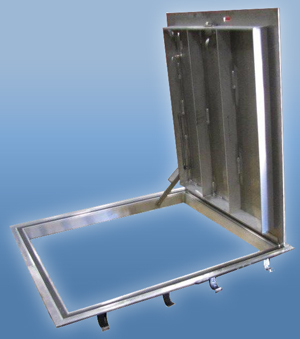 MSU C hatches are manufactured in single, double and parallel-door units.